The fourth edition of Breakout has ended. 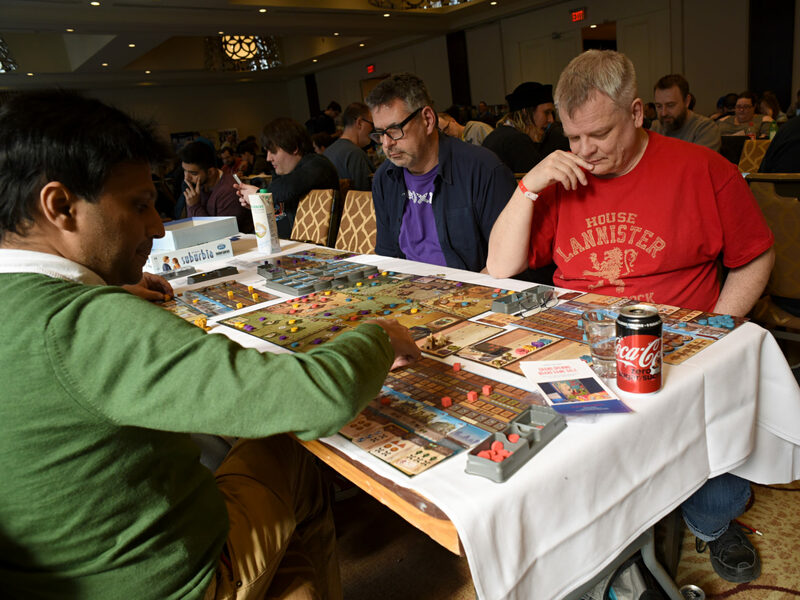 Almost 1500 people gathered at Toronto’s downtown Sheraton Hotel for three days of pile-shuffling, dice-chucking, traitor-accusing, point-accumulating, and networking (in some order). If you want a (somewhat personal) history of Breakout, allow me to refer you to my article from last year; I hate repeating myself. 1.Bigger and better–but not too big (yet). It only took two years for Breakout to outgrow its original digs up near Yorkdale. Now it seems that it has proven its worth to the Sheraton because organizers were able to book a half-dozen new rooms along the south-eastern corridor. There was something for (almost) everyone. Train games? You got it. Minis painting? Yup. Megagame? Present and accounted for. Family games room for the kiddies? Check. Good ol’ hex-and-counter wargames? Got you covered. The folks from ProtoTo were also there providing fledgling designers the golden opportunity to playtest their games with random Con-goers. The additional space dramatically eased crowding problems from last year–particularly the Bring and Buy. Last year everything was crowded into a tiny side-room with hardly enough room to breathe, let alone look at the games. This year organizers wisely used double-sized conference room to display the 848(!) games for sale. Another sign of the Con’s burgeoning reputation was the increase in commercial booths and vendors; people clearly feel it’s worth the time, effort, and money to have a presence at Breakout. 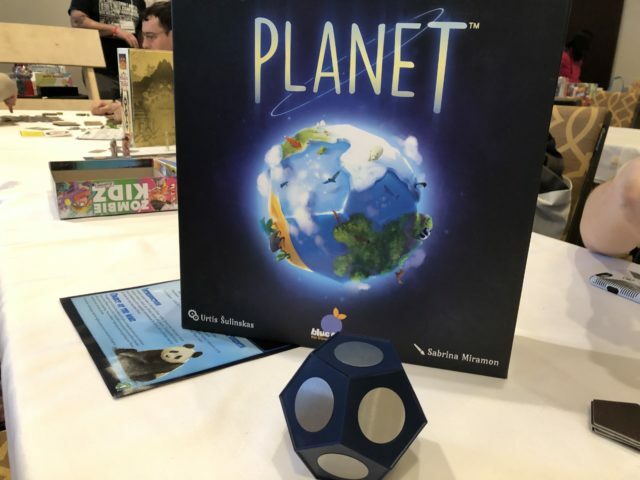 So you had Burnt Island demoing their upcoming In the Hall of the Mountain King and ÎLO307 showing off the very cool-looking upcoming release Planet (imagine Kingdomino but instead of drafting tiles to a grid, you’re adding them to a magnetized icosahedron to produce an actual goddamned planet). And the fine folks from woodforsheep were right there in the main gaming hall to happily part you from your money when you played something and absolutely had to go home owning a copy. Plus there’s at least one Kickstarter project who gained a backer (me) because they bothered to buy a banner and have it prominently displayed. By the time you read this the campaign will be over, unfortunately, but keep an eye out for Rosenstrasse, an “experiential game” (fancy-shmancy talk for RPG) set in Germany 1933-1943. All of that being said Breakout has not grown so much that it is impossible for someone to take it all in in one (very full) day. The main gaming room was always humming, but people (like me) who preferred a less…stimulating environment could always find a quieter space, and organizers also set aside a Quiet Room for those people who just needed to chill, check their phones, and recharge their batteries. 2.Wingspan is on everybody’s…wingtips. 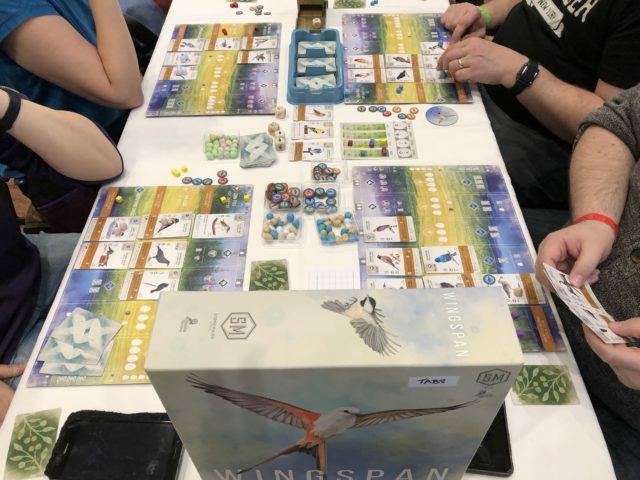 A front-page mention in the New York Times last week, not to mention its (final) appearance in local FLGS’s (if you can call limited fulfilment of pre-orders an “appearance”) surely made Wingspan the hot game of this year’s Con. (Last year, for example, it was Rising Sun.) The TABS game library managed to snag a copy from a very generous benefactor, and several people brought their precious copies to the table. 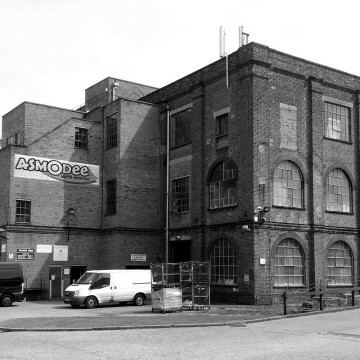 It was always being played somewhere whenever I wandered around. You can read Nicole’s take on it here. Personally I found it a fine tableau-builder but nothing special–but I also acknowledge that thematically it has captured lightning in a bottle. 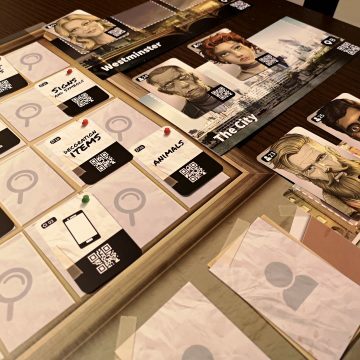 Any game which expands the tabletop audience so tastefully and adroitly is a welcome addition. 3.Cults Old and New. 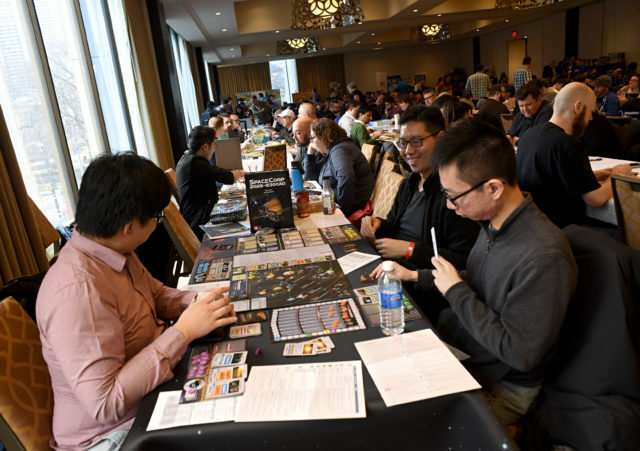 Along with the omnipresence of Wingspan, there were other recent titles on the tables, including Root, Planet,Spirit Island, and the Quacks of Quedlinburg. It was also great for me to see the variety of older games hitting the tables. 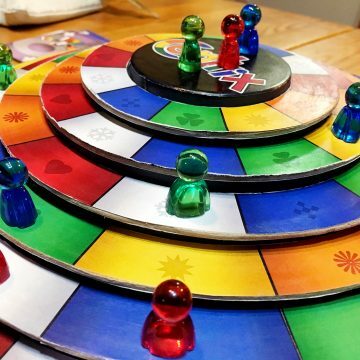 I saw El Grande, Dominion (with an awesome wooden lazy-susan card holder which I unfortunately didn’t get a picture of), and even a 1960’s-era edition of Acquire. The copious board game library in the main gaming hall provided tons of options for people who didn’t feel like shlepping their own stuff from home, or who wanted to try something new. 4.Community. 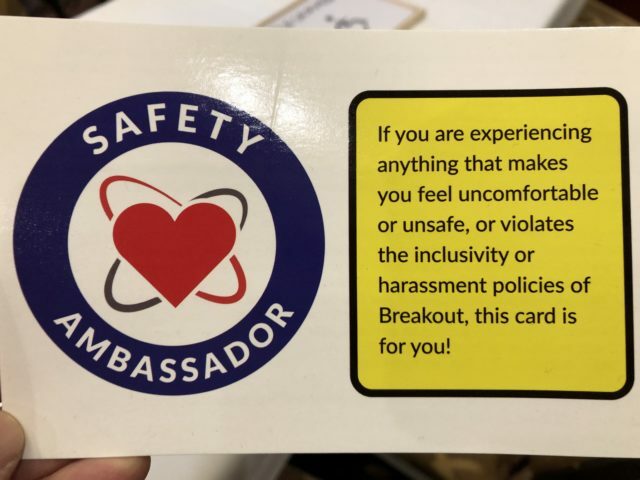 Breakout continues to make conscious efforts to be inclusive and provide a safe space for all gamers. As I walked the halls and rooms, it was so great to see “my people” out in all their glory, just being their best selves. And, at least as of time of writing, there have been no whispers or reports of incidents, as there have been at various other Cons recently. This is at least in part due to the organizers’ statements before the Con (example) which made it clear that bad behaviour has consequences. 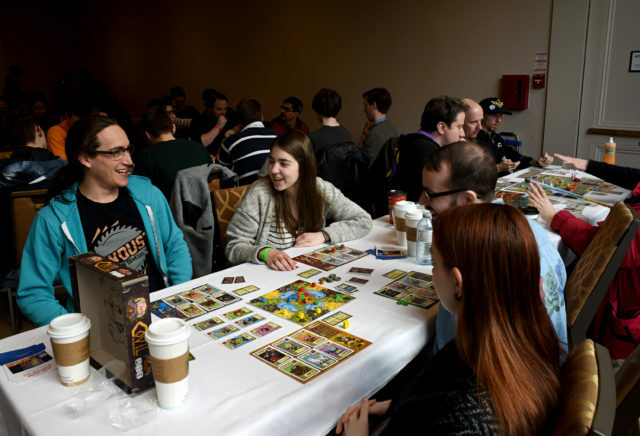 The other aspect of community I took away from Breakout this year is how warm, supportive, and downright funny Canadian board game people are. I saw top designers playtesting and offering feedback on each others’ work. I saw vendors checking out competitors’ booths, comparing and sharing notes. And I heard lots of raucous (but never inappropriate, I swear) laughter. I love “my people”. 5.Personal Heroes. To end on a more personal note, my big regret of the Con was that I could not work up the courage to speak to John Butterfield. I’ve been playing his games since 1981. Starting with Voyage of the BSM Pandora, and then utter classics like Ambush! and RAF, I have spent countless hours with his games and learned so much about history through them. And the recent release of SpaceCorp shows that he’s still got the design mojo (see me writeup here). And there he was! Practically all by himself in the wargames room! 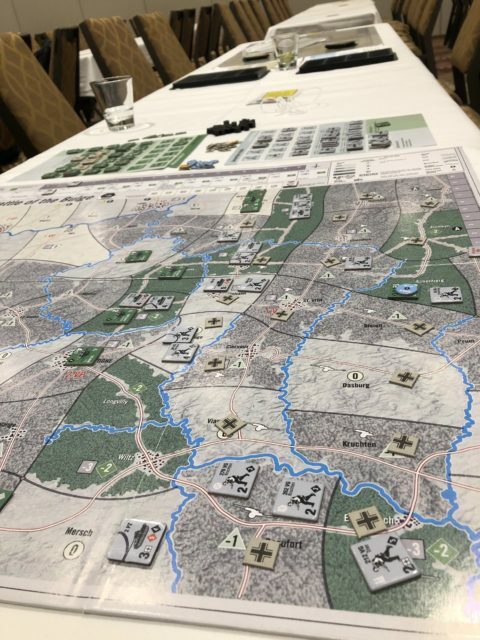 Demoing a copy of an as-yet unpublished game (WWII Commander–Battle of the Bulge) based on his very successful tablet game (which I backed on Kickstarter, of course, and which is one of the best wargame apps out there). I could have kicked myself. I’d forgotten to bring one of my games for him to sign, and anyway I didn’t want to bother him. Yes, I know that’s why he was here. Yes, I am a grown-up. But on the inside I was and am that gawky teen who was afraid of gushing like a fanboy and embarrassing both him and me. CENTRIX: Would You Like Rings With That?